Sweep thoroughly with fewer passes. WISP’s one-handed broom is equipped with dense, electrostatic bristles that stay flush to the floor. They attract pet hair, dirt, and even glass off of different surfaces like carpets, tiles, wood, and furniture. And the foot-controlled, hands-free dustpan makes cleanup a breeze. 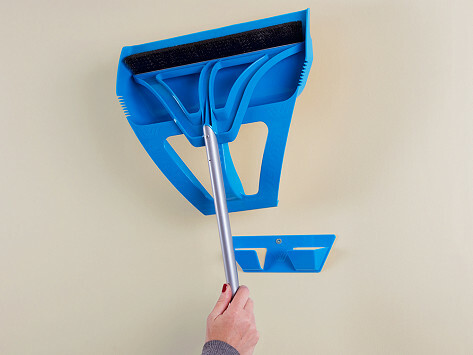 Broom features telescoping handle that extends from 29" to 51"
Love the broom and dustpan!!! 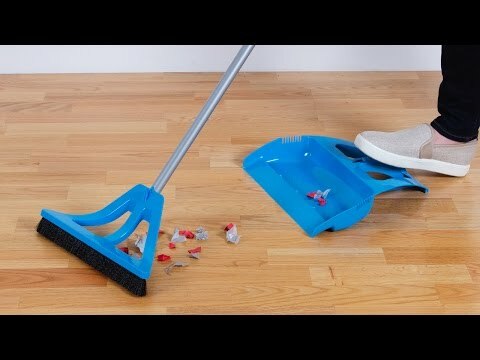 The broom is very effective in picking up crumbs and small matter and works well in corners. Love this product! Great product. Picks up cat hair, litter and anything on floor. Love that with dustpan picks up everything and does not leave anything on floor.